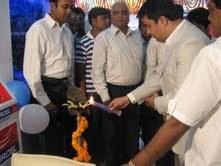 Aircel has opened its new COCO at Mangalabazar, Jharsuguda. With subscriber base of over 50 million, Aircel has currently gained a momentum in the space of telecom in India. The Company currently has base in 23 circles across India. It holds the highest amount of next generation spectrum amongst all telecom operators in India. delhi- aircel bad network but improving!